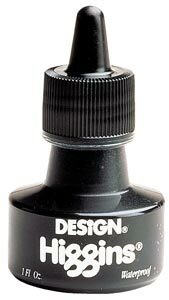 Non-peeling, non-clogging ink for technical pens, lettering pens, brushes and air brushes.Opaque semi-gloss black finish reproduces without hot spots or line variations. 1 oz. size. 4 points will be rewarded when you are logged in to your account and buy this item.